This photo perhaps belongs in some other category, or doesn't belong at all. But there is something about the bleakness. 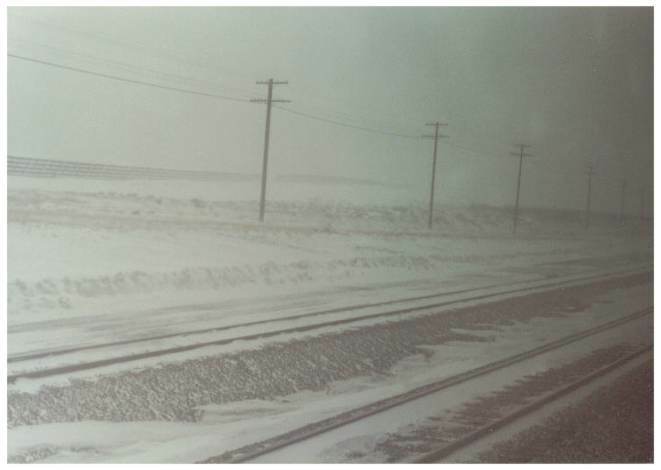 It is a high Wyoming winter's day, late in 1978, along the route of the Union Pacific. Inside, it was very warm.